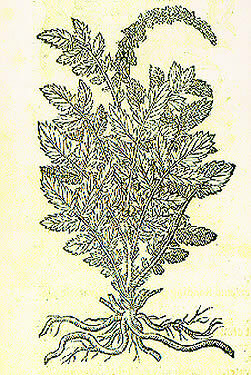 Contact with the Native Americans and their strange, uniquely American plants prompted an expansion of European herbals. 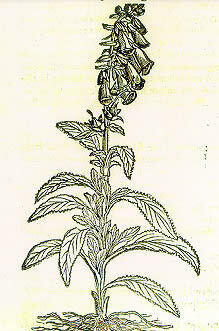 While the Spanish were the first to introduce American plants to Europe, explorers from other countries soon followed. 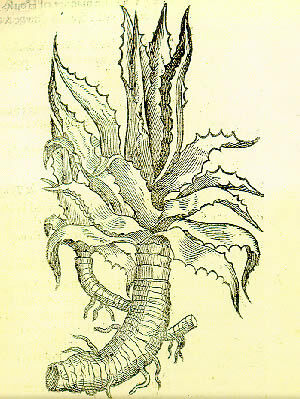 In 1597, Englishman John Gerard (1545-1612) incorporated New World plants in his Herball, or Generall Historie of Plants. 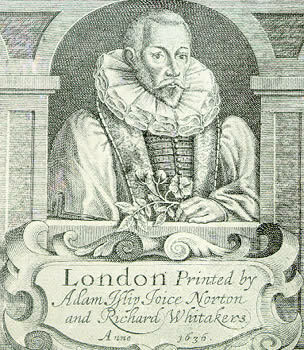 In 1633, a London apothecary named Thomas Johnson corrected and expanded Gerard’s herbal. 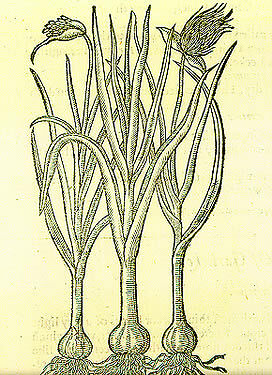 The following illustrations and descriptions were taken from the Johnson edition of 1633, housed in the Wilhelm Moll Rare Book and Medical History Room of The Claude Moore Health Sciences Library. Gerard’s contacts with explorers Walter Raleigh and Francis Drake led to the acquisition of a Virginian potato plant for his own garden. Gerard called the plant a “Virginian potato” to distinguish it from the sweet potato. His picture of the potato was the first that most English people had ever seen. At first, the plant caused some confusion. 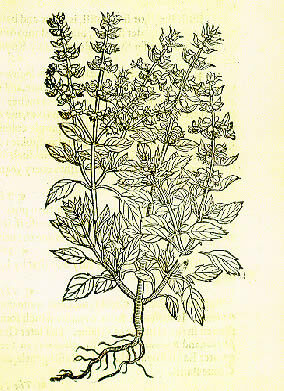 According to legend, Sir Walter Raleigh ate the poisonous berries of the potato plant, not knowing that the edible part was underground (the potato is of the same genus as the Deadly Nightshade). Sick and disgruntled, Raleigh ordered his gardeners to dig up the plants and throw them away. While doing so, his gardeners supposedly tasted one of the large, underground tubers and thus discovered, very much by accident, the culinary value of the plant. For many years, the potato was considered a delicacy to be enjoyed only by the rich. Not until the early 1700s did the potato finally become a staple in the European diet. Carrying a potato in one’s pocket was once believed to be a remedy for rheumatism. Fox-glove boiled in water or wine, and drunken, doth cut and consume the thick toughnesse of grosse and slimie flegme and naughty humours; it openeth also the stopping of the liver, spleene, and milt, and of other inward parts. Legend and superstition surround the mandrake. 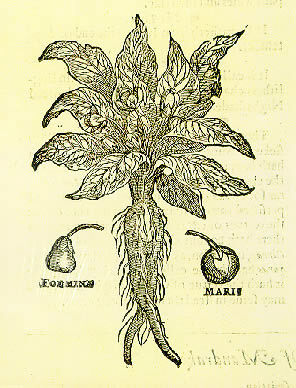 The root of the mandrake has a peculiar shape, sometimes resembling human legs or arms, or even a complete body. 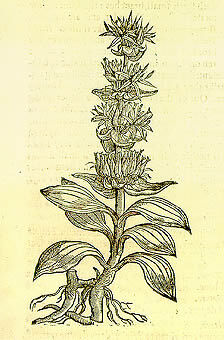 The strange shape of the mandrake’s root contributed to its reputation as a magical, and dangerous, plant. 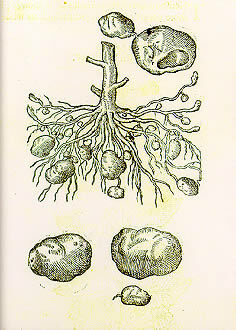 Many people believed that the mandrake root screamed as it was pulled from the ground. To dig up the mandrake and hear its cries meant certain death, so ancient herbalists instructed people to tie a dog to the mandrake and force the animal to pull it up, thereby killing the dog but saving themselves.